The world is watching and brands are taking note with some designs which should stand the test of time. One of the key storylines I like to trace during a World Cup is the brand battle that ensues over the tournament. 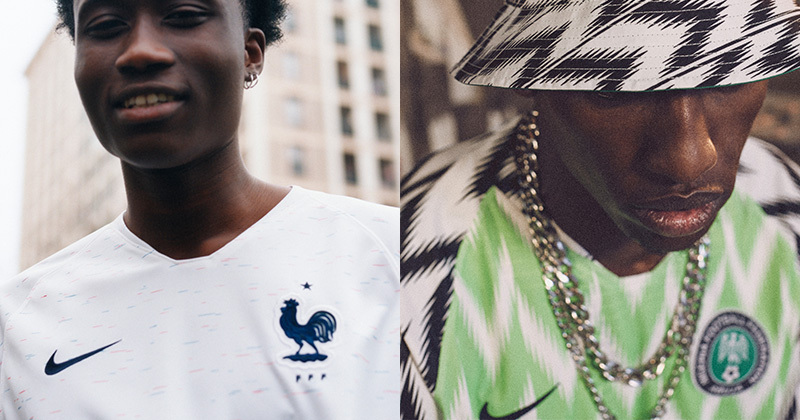 If we’re lucky (and we are this year), behemoths like adidas and Nike bring their a-game with incredible kits that will etch into the memory of fans across the globe. ‘Smaller’ brands try to capitalise too, hoping to catch some of the limelight and elevate their profile in a way which positions themselves for bigger contracts in future. What are the best designs each brand are bringing this summer? Which teams will brands be pinning their hopes on? Have brands gained or lost teams since the last World Cup in 2014? Let’s take a look. adidas are hitting all the right notes. 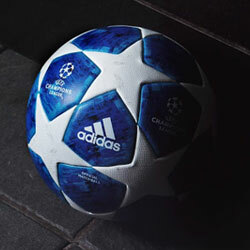 Images by adidas. The World Cup ball has always been made by adidas. The past two winning teams (Germany and Spain) both wore adidas. From a brand perspective, this is their tournament. For Russia, adi have stepped things up from Brazil 2014 with three more teams to further cement their dominance. Their portfolio is perfectly constructed, with a mixture of European heavyweights and teams featuring superstars like Messi, James and this season’s hot property, Mo Salah. This year, inspiration has been drawn from famous shirts of the past. In what is now a well-documented approach, shirts like Germany ‘88, Belgium ‘84 and Spain ‘94 have been resurrected with a modern twist. In almost every case adidas were on the money, with fans universally praising their ideas. My personal favourites are the Germany away and Japan home shirts. 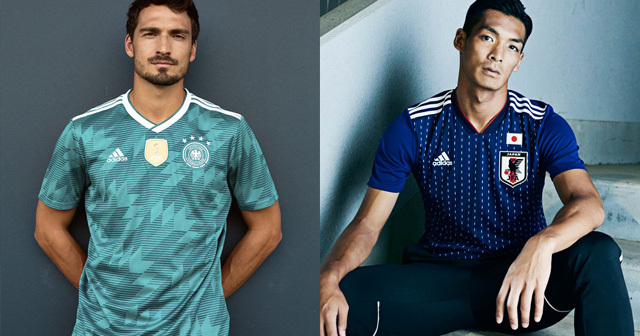 It’s no surprise that adidas’ best work is often reserved for their home country, and Die Mannschaft’s away shirt is an instantly recognisable take on their evergreen away shirts of the early 90s. The shade of green chosen is rarely seen elsewhere, whilst the pattern that adorns the kit is truly beautiful. It’s peak adidas and hopefully a sign of things to come. adidas didn’t just throwback to old designs however. For the new Japan shirt, a new look was created. Japan have a history of amazing shirts at the World Cup, and adi have honoured that tradition with a pattern influenced by sashiko stitching, a classic Japanese technique originating in the 17th century. The execution of the design is flawless, and a perfect example of what brands are capable of. Nike's campaigns this year have been next level. Images by Nike. The yin to adi’s yang, Nike are seemingly locked in an eternal battle with their German counterparts. After coming under some criticism for their uninspiring set of kits for Euro 2016, things are looker a lot brighter this time round. Fresh designs and superb detailing can be found across the full Nike range. Nothing personifies this more than what Nigeria will be wearing in Russia. 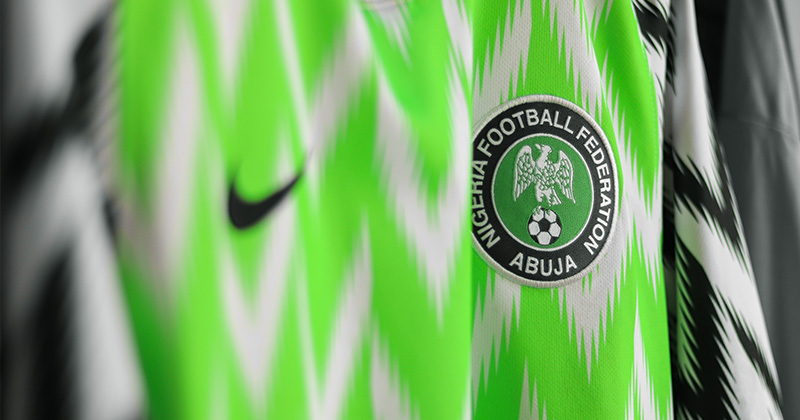 It’s hard to think of a kit that’s had more hype than the new Super Eagles home shirt, and everything about the campaign has been pinpoint accurate from Nike. The whole collection has received rave reviews, and it’s a signal that we’ve come through the worst in terms of kit design. Early sales figures are predictably hot. There are other great examples in Nike’s portfolio. 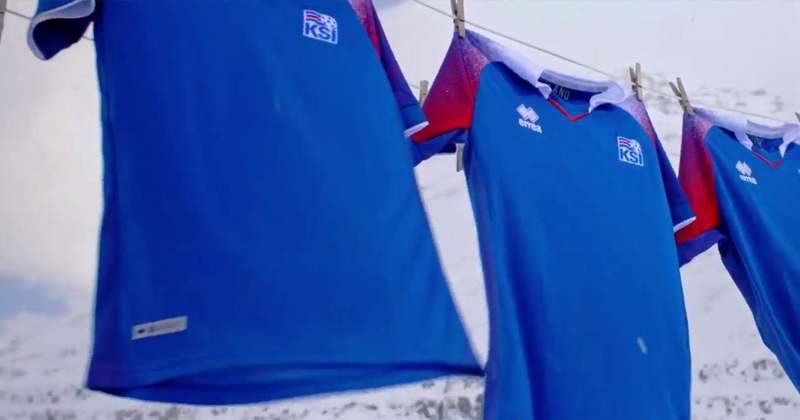 A personal favourite of mine is France’s away shirt. Though not obvious at first glance, a closer look reveals a superb marl effect (a big trend for this coming season) with flecks of red and blue in an organic, random pattern. It’s understated, clean and something which will look great on and off the pitch. This is an underrated design. 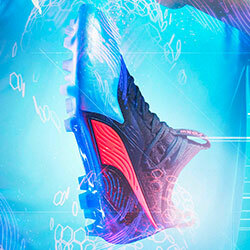 Image by Puma. Poor old Puma. It’s fair to say things have unraveled for the brand after their stellar campaign of 2006, where they not only provided the winning shirt for Italy but also produced shirts for a mammoth 12 countries at the tournament in Germany. The balance in power has shifted most notably in Africa, traditionally a stronghold for Puma. Teams like Ghana, Ivory Coast and Cameroon all missed out whilst adidas’ African nations Morocco and Egypt made the cut. To help stem the tide, the brand did wrap up deals earlier this year for Senegal and Serbia, to at least pull away slightly from the rest of the challenging pack. We’ll gloss over the away shirts from the brand, which were uniformly white for every nation in their portfolio. On the home side however there are a number of tasteful touches. 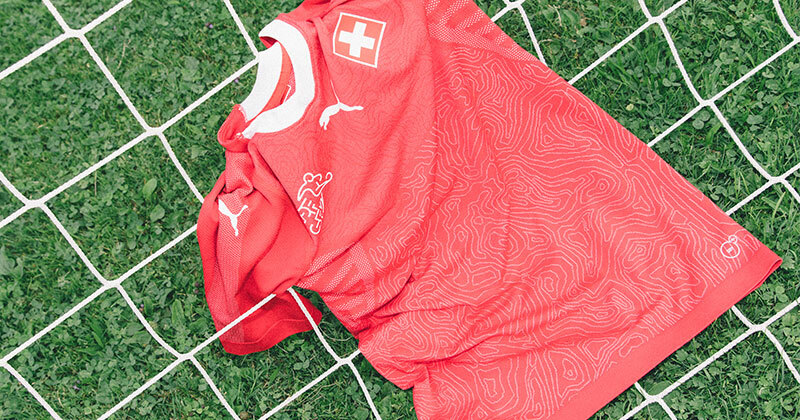 My favourite is Switzerland’s home shirt, with a unique topographic design referencing the country’s famous mountain landscape. We missed out on seeing the brand’s best work (looking at you Cameroon), but we’ll take what we can get. New boys New Balance. Image by New Balance. Welcome to the World Cup, New Balance. Over the past few seasons the brand have been making waves in the club landscape, and it’s great to see them enter the international stage with kits for 2 of the 3 CONCACAF nations competing in Russia. 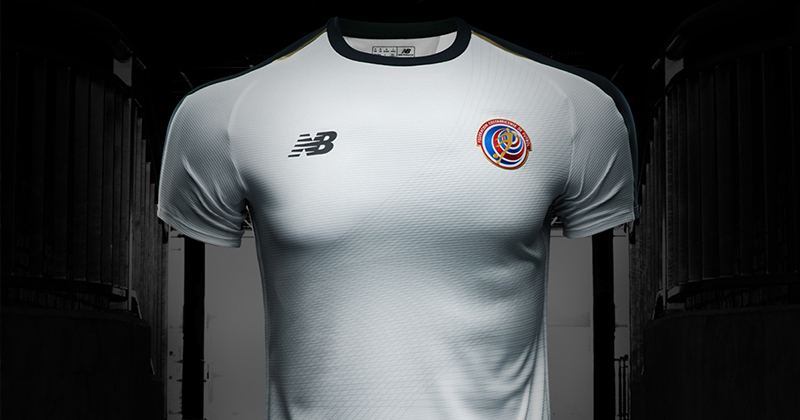 Pick of the bunch for me is the away strip for Costa Rica. 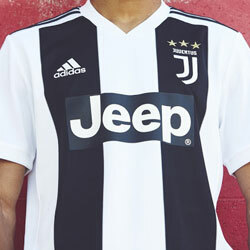 White, black and a federation crest which pops out in colour and matches the subtle line pattern on the front (also seen on the home shirt). New Balance haven’t flexed their creative muscles as much as they could, but they’re a welcome addition none the less. Let's hope Bendtner is laughing in a couple of weeks time. Image by Hummel. The choice for football hipsters and shirt romantics the world over, Hummel head to Russia with just one country flying their flag, Denmark. 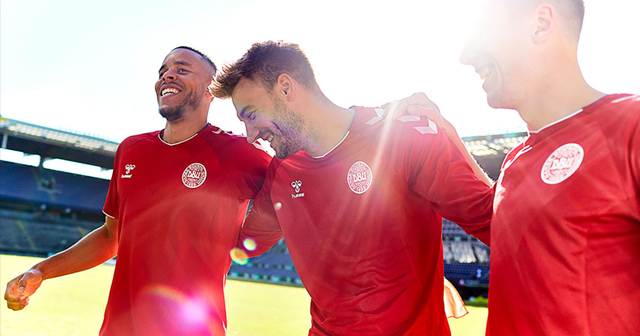 Few nations have a closer link with their manufacturer than the Danes, with Hummel being quintessentially Danish (the brand is based in Aarhus, Denmark). For both their home and away shirt, Hummel drew inspiration from the uniform worn by the Danish Life Guards, with a subliminal cross on the front of both shirts. A wonderful pinstripe/block combination for the iconic chevrons looks great, but as a whole it feels as if things were held back a little. We might have been robbed of a shirt for the ages. My kind of washing line. Image by Erreà. Arguably the story of the World Cup, Iceland continue to break new ground entering Russia as the smallest nation (by population) to qualify for the tournament. To celebrate, Italian brand Erreà have created a series of shirts with the strapline: ice, lava and water. I would’ve loved to have seen the eye-catching sleeve pattern carried over to the main body of the shirt, but the collection is strong overall and it has every chance to be one of the more memorable designs at the tournament. Uhlsport are clinging on. Image by Uhlsport. 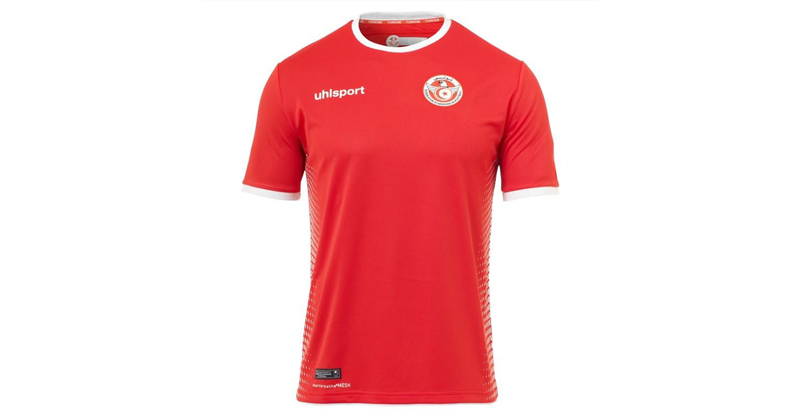 If you look at early World Cup shirt polls (and the quality of these are often questionable at best…) one name regularly comes in last place: Tunisia. 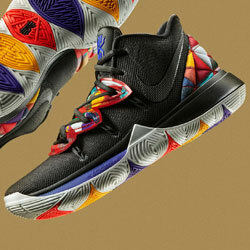 There’s actually more than meets the eye, with a decent geometric pattern on the sides of both the home and away. It’s otherwise forgettable, unless Tunisia take up the mantle of plucky underdog when things kick off. I'd love to see more Umbro kits next time round. Image by Umbro. Rounding off our review is Umbro. Based on early 2018/19 releases for English clubs, the brand will be dominating the shirt scene next season and seriously challenging the big names. It’s a shame to see just one country representing the brand, but Peru’s home and away shirt will at least bring a strong sash look, an iconic design not seen at a World Cup since the USA in 2010. 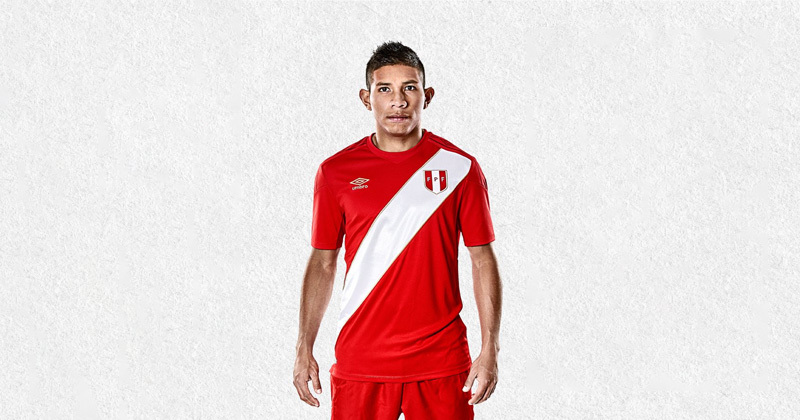 The Peru away shirt edges it for me with a double diamond graphic adorning the top. 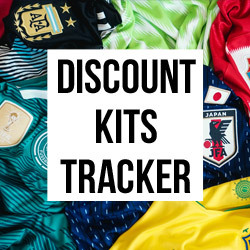 Whichever brand or country you support, keep it here at FOOTY.COM for the best prices you can find. Play more, pay less.